Blog Ocutech Bioptics Can Help You Drive Again - Just Ask Michelle! 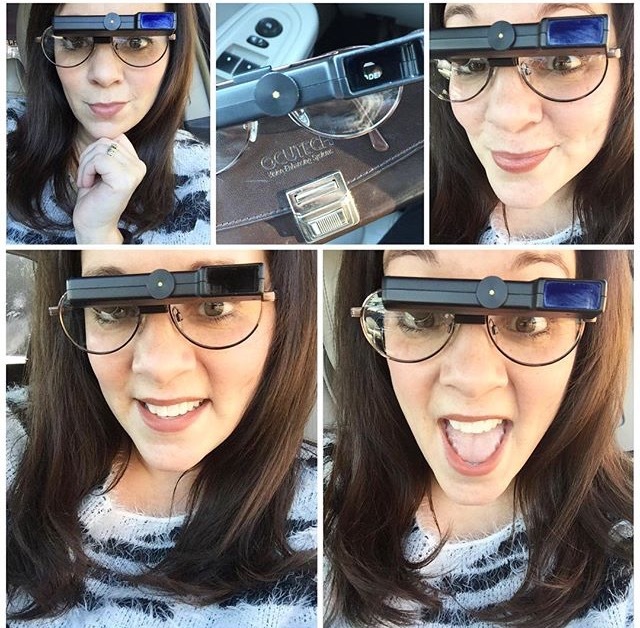 Ocutech Bioptics Can Help You Drive Again – Just Ask Michelle! Here at Ocutech, we don’t always get to meet the eyes behind our bioptics and we have decided to change that- Meet Michelle, our first #featurefriday Ocutech Wearer! We were so pleased when Michelle agreed to share a bit of her vision story with us and you! She is such an amazing person and we just love her positive attitude! In August of 2003 (while pregnant with my son Micah), I was diagnosed with Pseudotumor Cerebri/Intracranial Hypertension. Basically, spinal fluid leaks into my brain and causes too much pressure (severe headaches that make migraines feel like a walk in the park). The fluid damaged my optic nerves and macula, leaving me legally blind . Regular glasses and contact lenses are not able to correct the type of damage that I have and for the first two years after being diagnosed with PTC, I couldn’t drive. This was such a frustrating experience, particularly having a newborn baby at home and having lost the freedom to drive. Definitely a luxary that we take for granted!! Thankfully, my vision finally improved enough (20/180) that bioptics could help me drive again! I am so thankful for the freedom that Ocutech bioptics have provided for me.